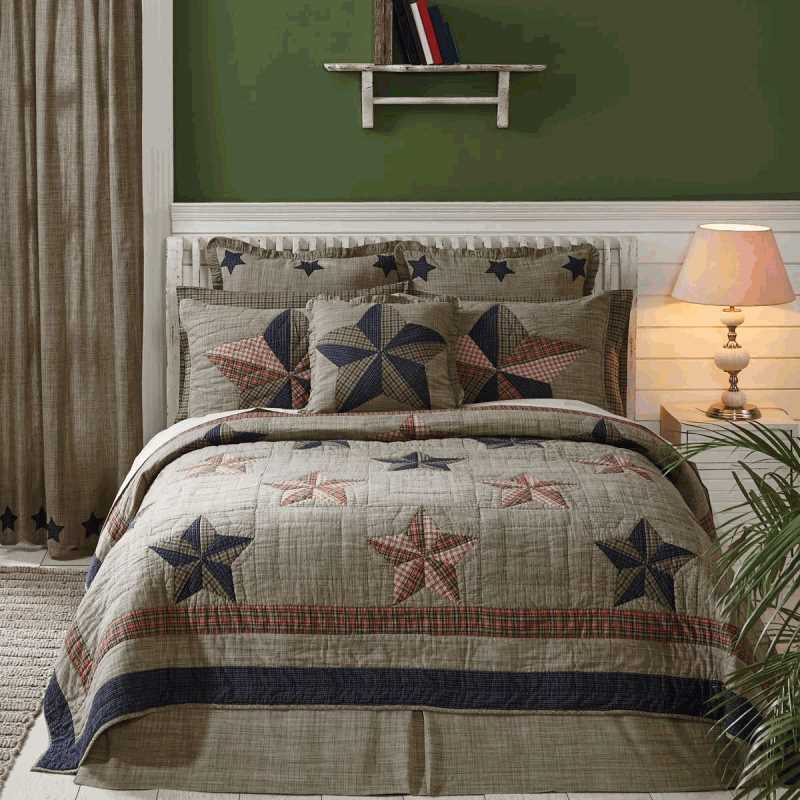 A unique take on Americana, the Vincent Twin Quilt presented for your bedroom by Country Vintage Home combines heirloom quality with superior comfort. 100% cotton, prominently displaying navy blues, khaki green, and deep reds with plaid 5-point stars creating a Trip Around the World pattern. Navy and khaki plaid on reverse.